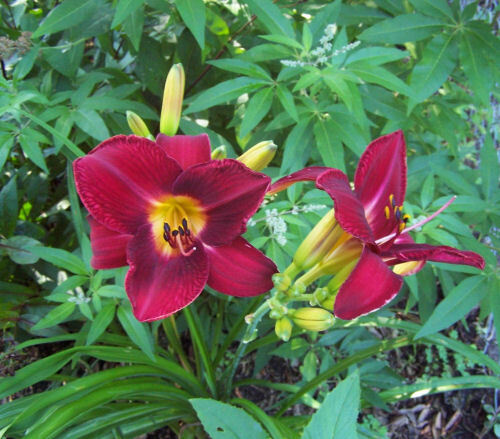 Growing Daylilies - Make Yours the Stars of Your Neighborhood. Daylilies are one of those perennial bulbs that everyone should try to grow somewhere in their garden. I have several patches of them. The flowers are showing and dramatic and always bring a smile to my face. These tips for growing daylilies will ensure that yours are the stars of your neighborhood. If you love garden tours, be sure to check out daylily gallery and my post on the Daylilies of Wildwood Farms. It’s a great place to spend the day if you are in Virginia. 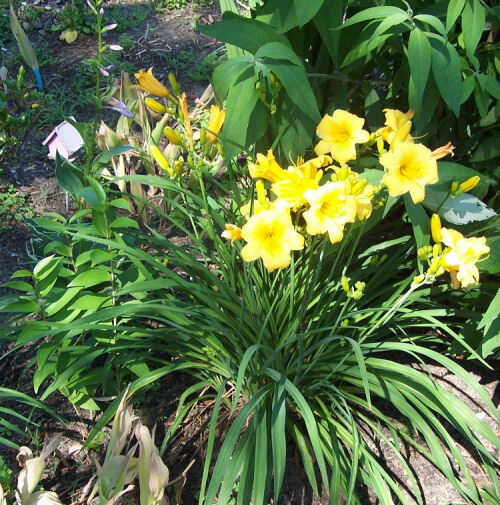 Daylilies love the sun and prefer full sun but will also grow in part shade conditions. Here in my NC garden, the plants with the biggest blooms are actually out of all day sun. The darker varieties particularly like some shade during the day. Bury the crown (area where the leaves and roots meet) about a half inch below the surface of the soil. They like to be spaced them about 10 to 12 inches apart for best effect. Well drained soil is preferable. Amend your soil with organic matter when you plant the bulbs and add it during the growing season for great blooms. Water well. This is the most important thing about caring for daylilies. Water helps to ensure that you get as many blooms and as large blooms as possible. This is especially important in the sprint when buds are setting. They will grow with less water but the blooms will be smaller in number and size. Mulch around the plants. This will help to retain the water and will eventually add to the soil composition. Make sure the soil drains well. If you have poor drainage, they will grow well in raised beds. Daylilies will multiply over the years. This is a great aspect of them, since it means you can share them or divide them to place in other garden areas around your home. Late summer is a good time to tackle the task of dividing daylilies. They will settle in before the shorter days and cooler temps arrive. Remove wilted flowers when they are done. 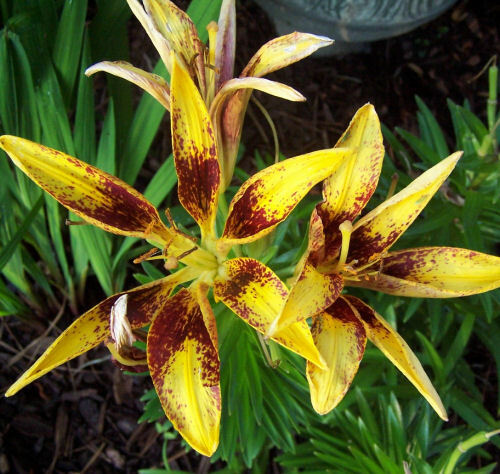 Deadheading encourages new flower stems for daylilies that have the ability to re-bloom. You may also want to remove the scapes (flower stems) when flowering is finished. Cut them back, don’t pull on them. Red Vols Daylily. A Better Homes and Garden winner of the year. This one is a gift from a special friend of mine! 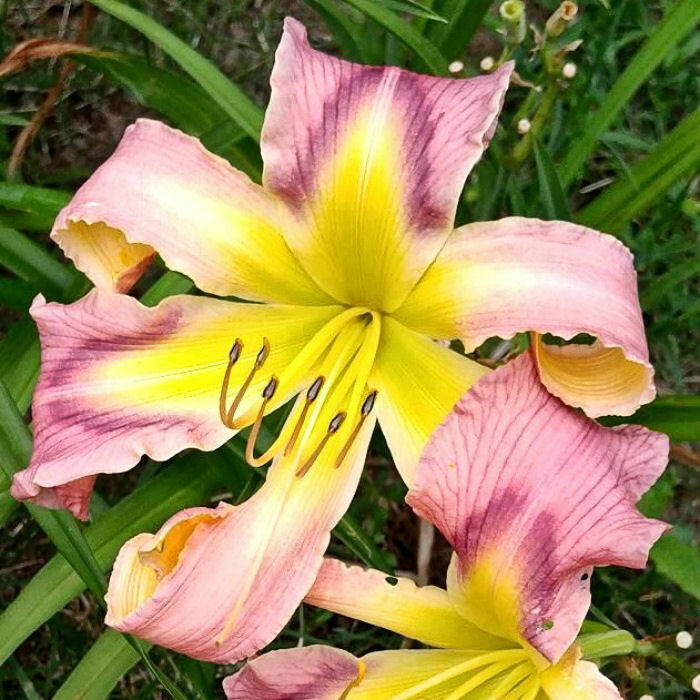 This gorgeous plant is daylily Earth Wind and Fire. It is a re-bloomer with blooms that can get up to 7 inches across! See my tips for growing Earth Wind and Fire here. This one is actually an ornamental lily not a daylily. I bought it last year at a huge reduction from Lowe’s after the flowers all died and they marked them down. A bargain! This beauty is growing in a shade garden. It’s so delicate. Lots more buds opened up today. This is my largest clump of day lilies. It doubled in size this year. This beautiful daylily is named Pardon Me Day lily. This variety is a re-bloomer for another show of flowers later in the year. Pardon me for thinking you are beautiful!! Just added from Facebook page fan Jennie Ayala’s garden. 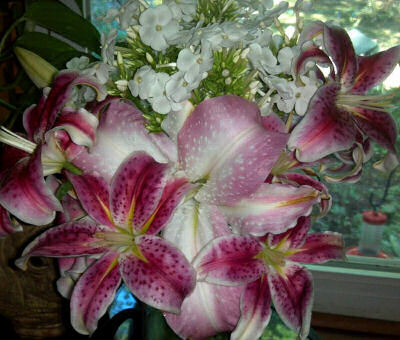 Lilies and Phlox. 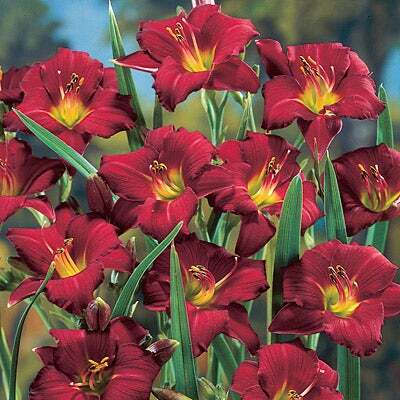 Growing daylilies will ensure that you have long season color all summer long. 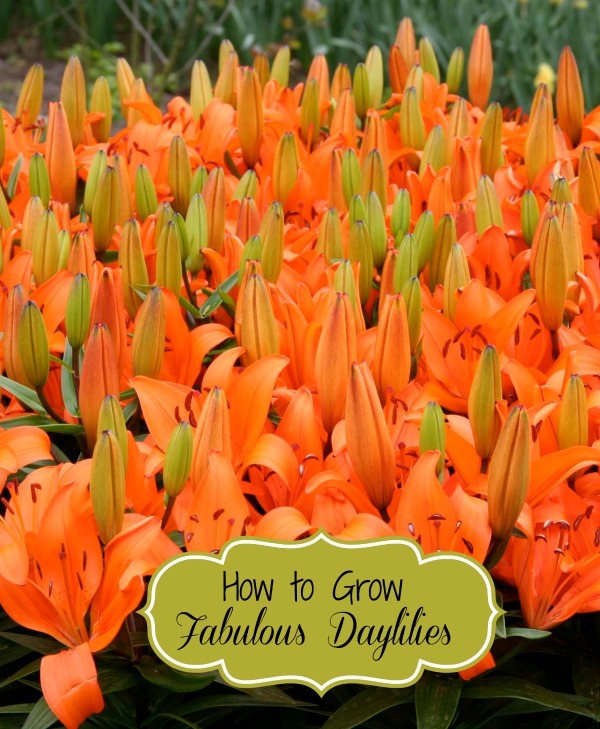 Do you grow day lilies? What colors do you like the best? We have lavender, rose, yellow, one that has orange solid and orange stripe alternating petals, lots more just planted this year, no idea what they will be. Could you tell me, should cut back the spent stems of my daylilies let them die off naturally? Mine were doing great, now all I have is the bulbed stems. When the flowers are done, the stems (scapes)should be cut back. They won’t re-flower (unless they are the reblooming varieties) but they will look tidier in the garden. I have one Stella d’oro plant that has stopped blooming. What can do to get it to start again, other that fertilize? Lilies will stop blooming if they need to be divided. You might try that. 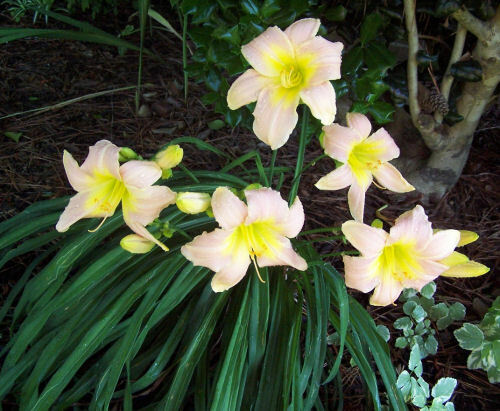 Can you grow day lilies in containers?